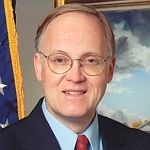 (HOST) When it comes to containing health care costs at the Federal level, former Vermont Governor and commentator Jim Douglas, thinks there are still many more questions than answers. (DOUGLAS) Will Congress ever be able to focus on what’s really important, as it’s rocked regularly by distractions and scandals, of which Weinergate is the most recent? While lawmakers remain in budgetary gridlock and take generous vacations, millions of Americans continue to struggle to find work and those who have a job, along with many businesses, are holding back on spending and investment. It’s clear that Congress is in a political bind: an aging electorate relies on entitlement programs that are approaching insolvency and efforts to curtail them would not be well-received. That’s the problem with entitlements, as economist Laurence Lindsey has noted: Medicare pays 80% of whatever a senior spends; it needn’t be effective or necessary; it might be a useless test or expensive care to prolong life, however briefly. The new Federal health care law creates a panel to list procedures by priority and deny coverage to those deemed less important; that’s how it pretends to save money, but we all know the likelihood of this actually happening is low; it would constitute rationing and be labeled a death panel. Medicaid, the program of health care for the indigent, is facing the same pressure. It’s run by the states, but with substantial Federal support. State lawmakers can enhance the benefits with the understanding that their budget will have to come up with only 40% of the cost. The rest is tacked on to the huge Federal debt. In Vermont we’ve contained Medicaid costs through our Global Commitment waiver, but efforts at national reform, such as block grants, are meeting a cool reception. That’s a key problem with the new Federal law: it expands Medicaid generously and sends part of the bill to the states. The tough reality is that we need to confront how we view end-of-life care, as that’s when most of the money is spent. Authors Daniel Callahan and Sherwin Nuland, both themselves over 80, present a candid case that, although new drugs and technology make extension of life increasingly possible, it is prohibitively expensive. They also note that the quality of that extended life is often not what we would want for our loved ones or ourselves. More Americans are living longer, but more are also spending large blocks of time in physicians’ offices, hospitals and nursing homes, becoming increasingly frail and dying slowly from organ failure. Callahan and Nuland suggest a health care pyramid: health promotion and disease prevention would receive the greatest financial support, followed by primary and emergency care. Treatment of acute illness would follow and chronic care would be at the top, receiving the lowest priority. Current health care expenditures are exactly the reverse. I’m proud that, through our Vermont Blueprint for Health, we’ve worked to contain the cost of chronic care. These are tough issues. Will we understand the link between advancements in medical science and the nation’s fiscal stress? Will we sacrifice modest extensions of our own lives for the prosperity of our children? Will our leaders make decisions that are politically risky? We’ll see.